Are these foreclosure figures real, 1 in 25 homes in some cases, i thought the US housing market was improving. Still lots of problems to be sorted out there, and here at home. They gave any idiot a mortgage... good thing that didn't happen here. Er.. Difference is that here you are burdened for LIFE with debt. Get used to it. The two spikes in existing home sales were due primarily to the homebuyer tax credits (the initial credit last year, followed by the 2nd credit this year). 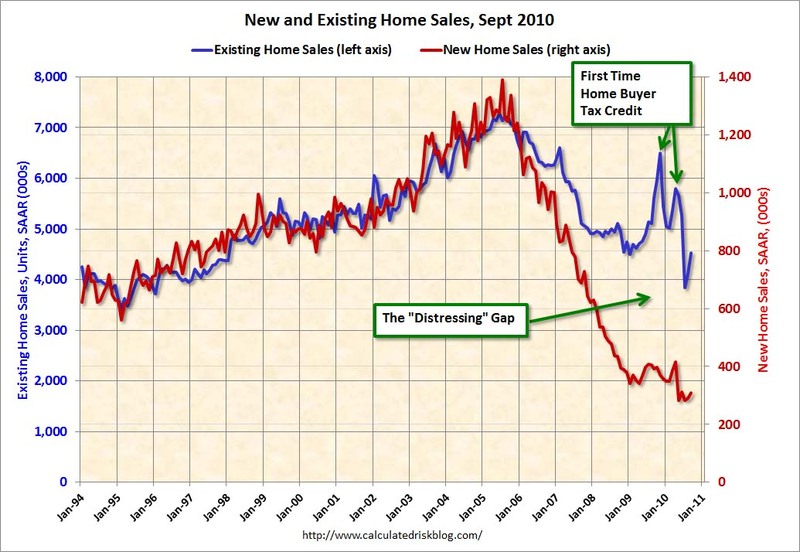 There were also two smaller bumps for new home sales related to the tax credits. Now, once again, the gap is mostly because of the continuing flood of distressed sales (both foreclosures and short sales). 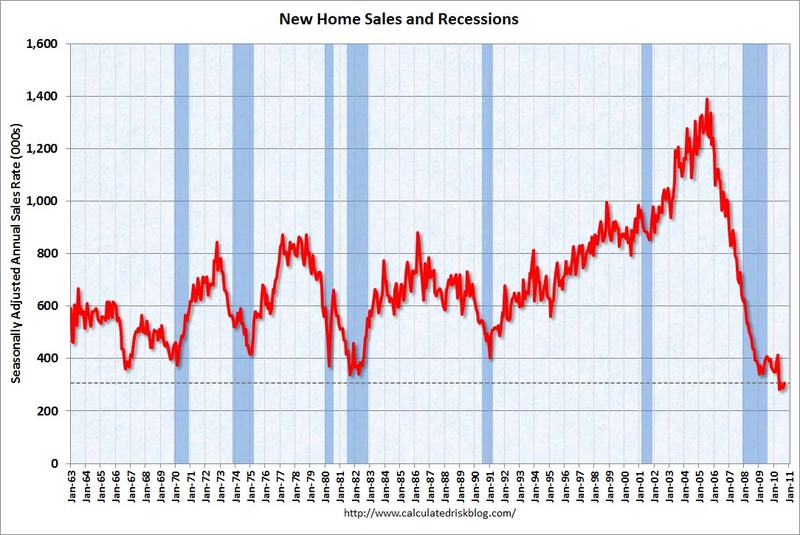 I expect that eventually this gap will be closed, however that will only happen after the huge overhang of existing inventory (especially distressed inventory) is significantly reduced. I knew things were bad in US but when i show figures of 1 in 25 were being foreclosed i could not believe it. Why on earth did you think it was improving in the US? New house sales are low becuase the builders cant sell for a lose. 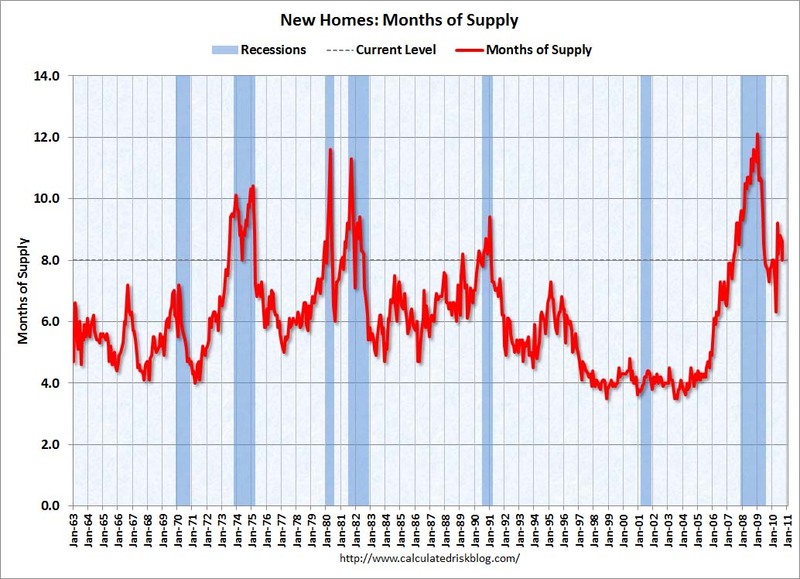 It should also be noted that in recent years a surplus of (new) property has built up in the US. Yeah about 20 million empty homes many of which are now or shortly will be uninhabitable. Still estimates are that it will take at least 3 years to clear the backlog of homes if sales don't dramatically improve.